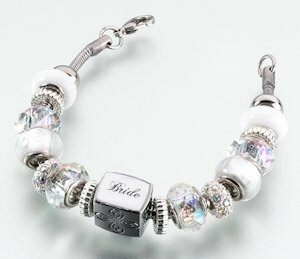 Bead charm bracelets are a top fashion trend. 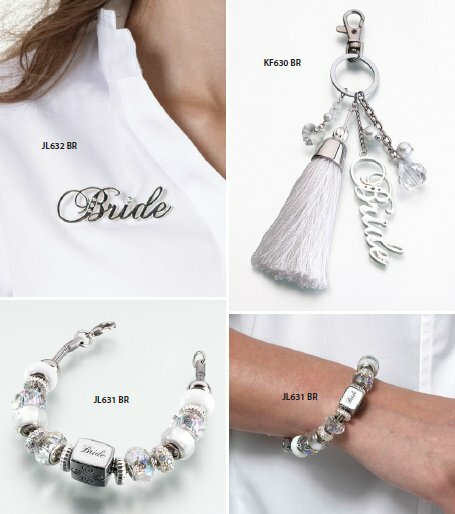 Give the bride one made to celebrate her special day. This 8" bracelet has a variety of beads in silver and white metal, glass and plastic. The center bead is a cube that reads "bride" in script letters. It arrives ready to give in a grey velvet gift box.